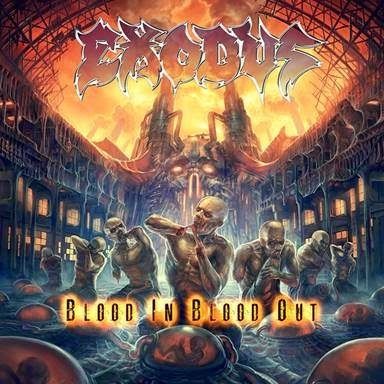 Metal Messenger - Metal & Hard Rock News: EXODUS REVEAL SPECIAL GUESTS ON NEW ALBUM "BLOOD IN, BLOOD OUT"
EXODUS REVEAL SPECIAL GUESTS ON NEW ALBUM "BLOOD IN, BLOOD OUT"
Bay Area thrash metal provocateurs EXODUS announce the special guests appearing on their newest album 'Blood In, Blood Out' the band’s 10th studio album due to be released on October 14th in North America. “It felt really casual, really cool – just like it did back in 1980 when we were all just hanging out back in the day,” Hammett stated. The album can be pre-ordered from the Nuclear Blast.